After 38 years with Duncan Craig LLP, Phil Renaud is transitioning to a new role as advisor with the firm. Phil will be retiring at the end of 2019. Consulting on estate planning projects to offer strategic advice on direction and key estate and trust concepts. Transitioning clients to other members of our team to ensure that our clients are comfortable and that our lawyers have full knowledge of the family estate plan. Teaching and mentoring our junior lawyers and students. Acting as an independent mediator in estate disputes. We are very proud of the team we have built in our Estate Solutions Practice Group. If you are a client of Phil’s and you are looking to update your estate plan, please call Phil directly. He would be happy to work with you, and in the process introduce you to another member of our estate planning team who can help you update your estate plan as your needs change in the years to come. Phil will continue to act as a mediator in estate meditations. In the 1990's, Phil completed Levels I and II of mediation training with the Alberta Arbitration and Mediation Society (now the ADR Institute of Alberta). In 2015 Phil successfully completed the Mediating Disputes course at the Program on Negotiation at Harvard Law School Executive Education. The Program on Negotiation at Harvard Law School is a university consortium of Harvard, MIT and Tufts dedicated to developing the theory and practice of negotiation and conflict management. For more information on Phil’s mediation practice, please click on the links to his articles on “My View on Estate Mediation” and “The Mediation Process”. Throughout his career at Duncan Craig LLP, Phil's forte has been developing unique estate planning solutions for families. He has also contributed to the development of estate law having served as National Chair of the Wills, Estates and Trusts Section of the Canadian Bar Association from 2003 to 2005. 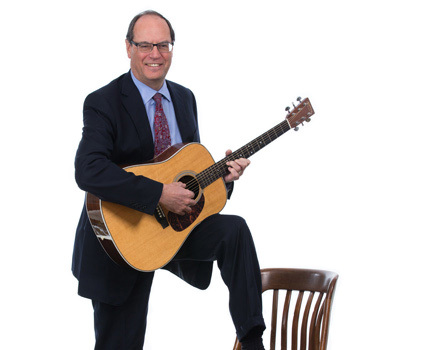 He served on the Technical Committee (Estates and Trusts) for STEP Canada (Society of Trust and Estate Practitioners) from 2012 to 2018 and served as a member of the Surrogate Rules Advisory Committee for Alberta Justice from 1996 to 2013. Phil continues to be committed to the reform of estates and trust law having made many submissions to the federal and provincial governments both as a representative of professional associations and as a private citizen. Phil was a member of the working group for the Uniform Law Conference of Canada on the development of the Uniform Trustee Act, 2009 - 2012. The final report was approved by the ULCC in August 2012. He also served on the Project Advisory Committee to the Alberta Law Reform Institute (ALRI), which led to the publication of its Report for Discussion 28, "A New Trustee Act for Alberta", and eventually to its Final Report 109 in January 2017. Phil continues to work towards the implementation of this legislation in Alberta. Philip Renaud weighed in on why retirement planning is much more complicated for couples who have a child with a developmental disability in the Globe and Mail article "Parents of a Disabled Child have to save for Three." Parents who have children with disabilities often depend on siblings or other family members to look after their child after they die. They also need to factor other children without disabilities into their estate planning. For estate planning, Phil urges parents to make it clear who will make decisions for their disabled child when they pass away. In most cases it will be the capable children, or close relatives, but Phil says it needs to be made clear in the estate plan. For the full article, click on "Philip Renaud in the Globe and Mail". 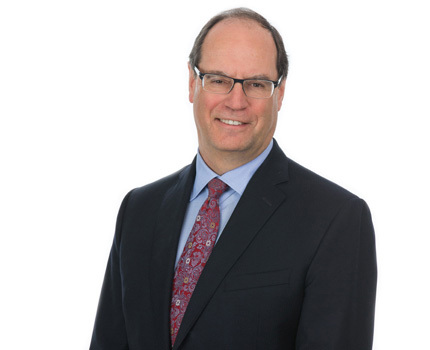 Phil has acted as a mediator and as counsel in estate meditations since the 1990's having completed Levels I and II of mediation training with the Alberta Arbitration and Mediation Society (now the ADR Institute of Alberta). Phil is also a trained collaborative lawyer and member of the Collaborative Estate and Trust Lawyers Society of Alberta (CETL).